On Thursday, Aug. 16 at 11 p.m., deputies responded to reports of a loose horse in the 1600 block of La. Hwy 6 near Hagewood. Deputies recovered the horse but were unable to find an owner. 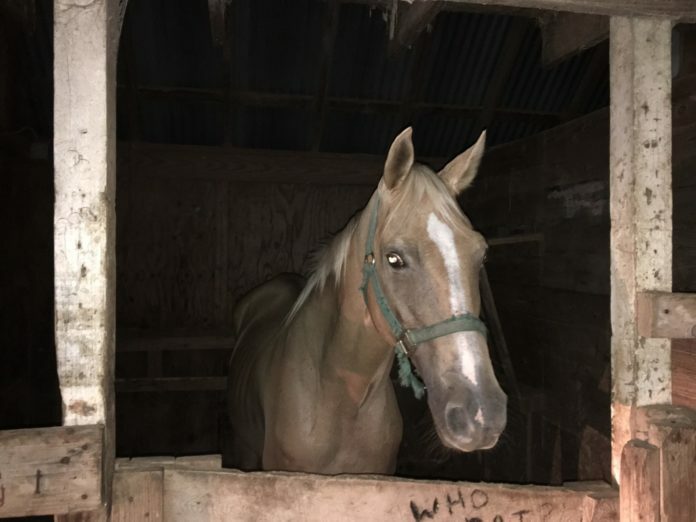 Deputies utilized their animal services trailer and transported the horse to the Natchitoches Parish Detention Center horse barn where it is being kept until an owner can be found. If you are the owner or have further information, call 352-6432 or Sgt. Bruce at 357-9300.